The search begins to locate, capture, and release world record fish !! The GREATEST Fish utilising Deeper Smart Sonar are ambitiously targeting a wish-list of IGFA All-Tackle World Record species from across the globe. The first target species on the list is the Goonch Catfish (Bagarius Yarrelli), also going by the name “Giant Devil Catfish”. The current IGFA All-Tackle World Record for the Goonch stands at 165lbs and 5 ounces (75kg) caught by Jacub Vagner in 2009. The GREATEST Fish Team started the search in February 2018 utilising Deeper Smart Sonar on reconnaissance trips to selected locations on rivers in Northern India and Nepal. Following the reconnaissance trips an intense fishing expedition at identified locations 100% focused on capturing and releasing a Big Goonch, hopefully a new World Record Goonch will take place sometime in April / May 2018. 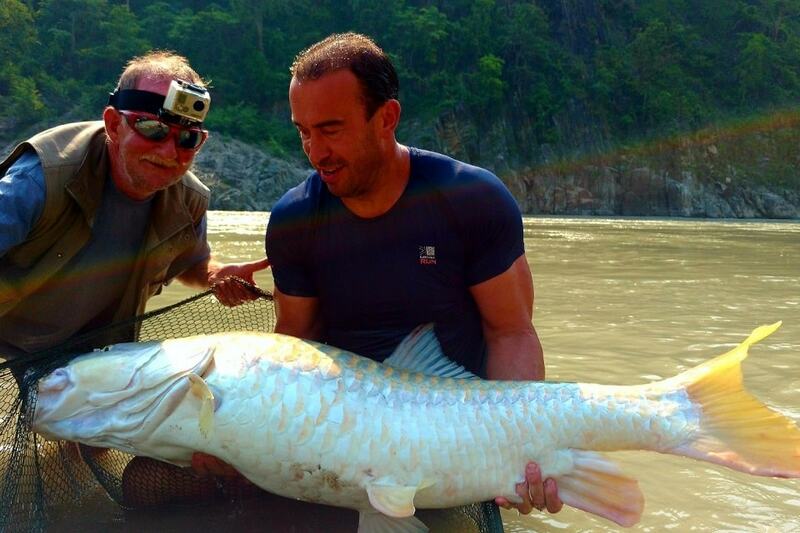 A second reconnaissance mission will start in March 2018 to track down a record breaking Himalayan Golden Mahseer, an IGFA All-Tackle World Record already held by Greg Iszatt from the GREATEST Fish Team. Again Deeper Smart Sonar will be an integral part of this new search and will culminate in a focused fishing expedition sometime in May / June 2018. The logistics for a third reconnaissance trip and unique fishing expedition after another record fish species is currently being finalised for April / May 2018, the details of which will be disclosed at a later date. Over the coming weeks and months we will also get to meet and hear from different Anglers who make up The GREATEST Fish Team who are taking on this unprecedented Record Challenge. Regular monthly updates will be posted here on the Deeper Website, Facebook Page, and to The GREATEST Fish Instagram Account “thegreatestfish ”. All Fishing will be Catch & Release. Follow our Search for GREAT Fish ! !